I’ll admit it. I did try and time it this way when I saw how perfectly the following two numbers were converging last week. This, my 500th post, will coincide with 200,000 views on the blog. My first article on September 9, 2008 had exactly zero ‘likes’, zero comments, and just a couple of views, probably thanks to a few friends, Shoko and my mom. My articles now are being clicked on around 200 times a day and you generous readers leave me with lots of great commentary on most of my posts. It took nearly 3.5 years to reach my first 100,000 views and only 16 months to get to today’s magic number. I wish my retirement savings could take a trick or two from this sort of math. Ortlieb. What was cool in ’08. Other than numbers, the blog has evolved in other ways, too. When I started it I was a devout ‘tourer’, who raved about leather saddles and debated the relative advantages of BOB trailers vs panniers. I’m now a nearly-skinny cyclist who casually throws around acronyms like FTP and VO2 as if he knew what they meant. But change, as they say, is the only constant thing there is in life, and for better or worse, this blog will probably do so again if I keep having something to write about. Which brings me to the best part of my blog – the community it has produced. When I had time to stop and take photos. In the beginning there weren’t many people at all leaving comments on the articles I wrote, but slowly, slowly, they started rolling in. The ones in the early days were often talking about the region I was riding in (Languedoc. Remember the old name of the blog anyone..? ), some asking practical questions about eventually coming here to ride themselves. 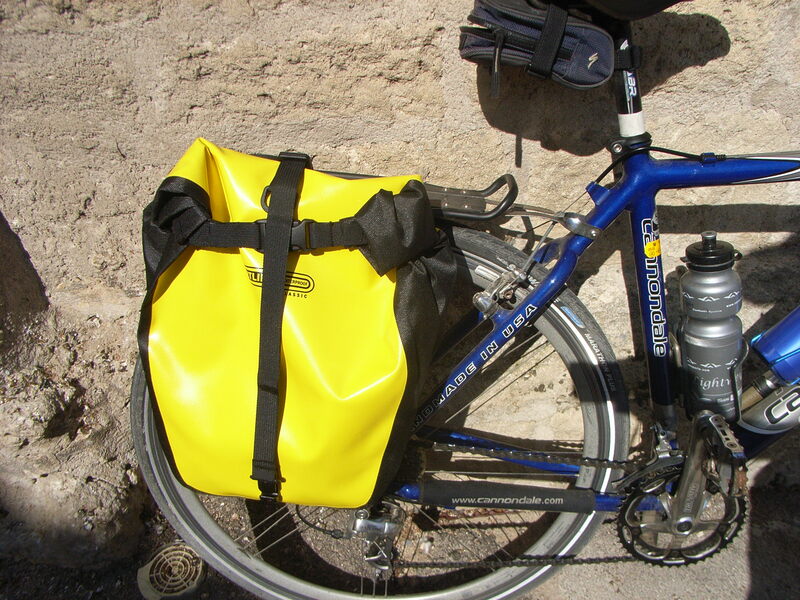 This, very directly, led to my website (which has evolved just as much as the blog) – Cycling Languedoc. If I’m not mistaken, Suze may have appeared around this time. This would make her one of my oldest ‘friends’, I think. The 2nd great wave of blog buddies came in after I started trying to lose weight (when Steve and Ron arrived I think) and going faster on the bike (Gary, Rob, Stevo, Tootlepedal). In the last year or two, as I have ramped up my training considerably, others have started to stop by (Aaron, Dr. James, Roan, Stephen, Carsten, Luc, the other James) and as some folks lose interest in my blatherings, more come in to fill in the gap. It’s amazing how it happens. A bigger, slower me in 2010. 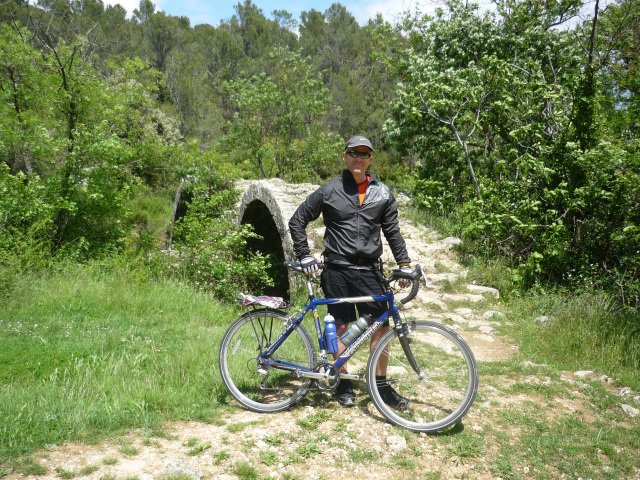 The blog is the reason I have a business partner and local cycling buddy – John (in early 2010 he contacted me through the blog). Then, through him I’ve found the rest of our little racing team – Erik and Anne. The blog was the reason I found my long-lost step-brother, coach, and Haute Route teammate – Rob. The blog was the reason I got into the cycling tour business, however small-time it is at the moment. I don’t think it would be too much of an exaggeration to say that the blog is the foundation on which I’m building my future at the moment. And all this because I can’t keep my mouth shut, ‘virtually’ at least. Indirectly (or directly, depending on how I want to draw the line) this blog has led to a vast increase in my fitness, to levels I’ve never seen before. John was the first guy to take me out on the road and give me a good ol’ thrashing, way back in 2010, then Rob came around and showed me how much punishment the human body can take and still keep pedaling. 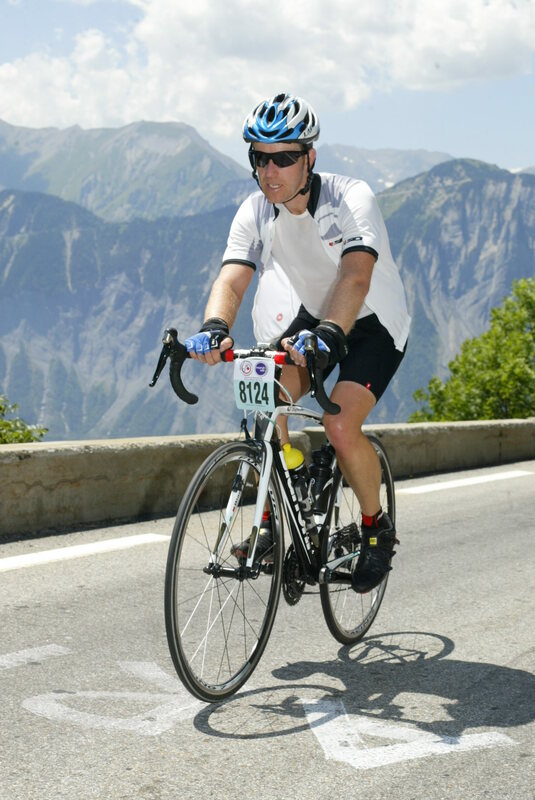 Ventoux, apart from dishing out a whole mountain of pain on me every time I’ve climbed it, has laid bared my weaknesses on many occasions, and allowed me to show my strengths on a few others. The blog has helped me lose weight (you can’t disappoint your readership!) and achieve some of my cycling goals (sorry, I’ve disappointed a few on this one). The blog keeps me honest. So thanks blog, and thanks to everyone who fuels the engine, virtual or otherwise. You are the real reason I keep on going (that and the fact that I can’t shut up). You know, it really is amazing how much having a blog motivates you. It makes a difference knowing that a lot of very cool people that you’ve (mostly) never met are watching. I’d be lying if I didn’t say that motivated me to get through a tough day. Congrats on the milestones. I expect you’ll get to 300k by the time HR is finished. Thanks, Aaron. I think you’ll be hitting that milestone before me by the looks of it! That invitation frightens me, but I’m sure I’ll be a better man for taking you up on it. Coming soon. …and you have drawn people into having delightful holidays in the south of France, with good accommodation and bikes hired from reliable people, which they certainly wouldn’t have done if they hadn’t read your words of wisdom.. Merci beaucoup. Happy that you and Mrs. T enjoyed the holiday. Hopefully next time we meet it’ll be in sunny Scotland. Thanks, Roan. My camera in on the fritz, but will get that solved toute de suite to keep the audience content! I recall finding you on the net after you had purchased the Bianchi. The pictures and posts have had calming effect on me whenever I have had a hectic day at work. Keep it up! Without knowing it, you encourage me to do some climbing! Ah yes, of course you were one of the Bianchists! I did get a few new readers at that time, too. Happy climbing! Well done on that milestone. Great info on this site and it’s a great motivator too. Glad I can help. We’ll need all the motivation we can on the run-up to Haute Route, Luc! Fun to remember when I first came across your blog … I think it was shortly after I’d been in the Camargue, because I remember reading a post of yours about a place I’d been shortly before that. If you’ve noticed (look at your stats) someone poking around in many of your old posts, that would be me, looking at those beautiful little roads in Le Sud. That got me to thinking about how approaches to cycling change with time, and how that goes a long way to making the cycling world an endlessly engaging place. Keep the blog up. Though I don’t know anything about racing so rarely have a comment, it’s fun to follow your progress towards the Haute Route. Poke around all you want, Suze. I’m glad people are getting some value out of those posts. You’re spot on about how cycling attitudes change over time, too, although I know plenty of people who haven’t ‘evolved’ at all! Congratulations are due…..my favourite old post was your first video…..still giggling about the wind sound and you planning of “chasing down” the rider in front of you . A quick poll of your family wants to see you take a DNA test when you return to Canada… seems consensus is that you are not a a true beer drinking, food munching, couch hugging Patterson…. LOL Life leads us to great strides,,,,, in your case it has been GREAT RIDES!!!!!! Keep up the awsome work and reporting !!!! Once my ‘career’ is over I’ll catch up to the rest of the family in the beer department, but i’ll bet I already rival them on the ‘couch hugging’…just mine is chair hugging, I guess. Thanks for letting us all live vicariously through your writings and pictures. I’m sure I speak for a couple of your readers, your blog brings us a step closer to the dream of living and cycling in lu sud. 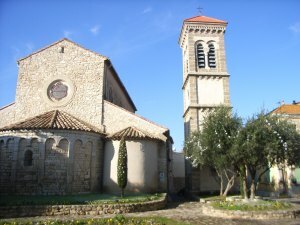 For that brief moment, as we read each post, you whisk us away and drop us in one of the many beautiful locations in the South of France. As Roan said above, Chapeau! Thanks, Rob. I find even myself living vicariously through the blog. Reality looks so much better with a few photos and a little embellishment! I’ll try and pump up the frequency a bit then. Vicious Cycle is going daily! Thanks for the kinds words. Thanks and congrats – it’s been fun watching your journeys! Thanks for the mention Gerry. Love your blog…..so keep doing what you’re doing. And can’t wait to read all about the Haute Route! Thanks, James. 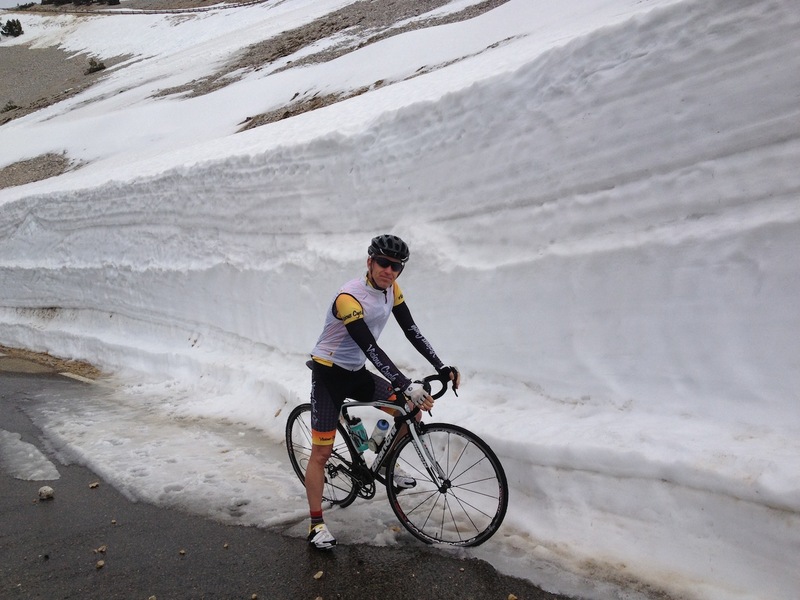 You do the same and get your carcass over here for that Ventoux climb! It is on my list and you will be the first person to know about it, believe me! Thanks, Mark and yeah, we have to get out for a ride at some point this season. I’ll get myself down your way at some point, I’m sure. Thanks, Rebecca. We need to get you out on the roads this summer. You’ll be hooked, I guarantee it! See you soon.